This symposium has addressed four important questions related to circulating tryptophan and the brain. 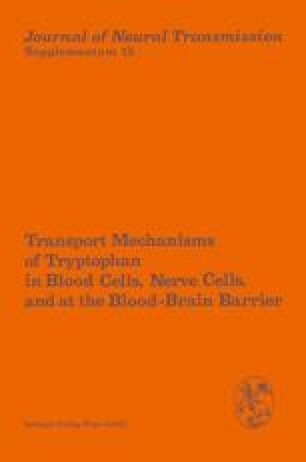 These are: (1) What controls the uptake of circulating tryptophan into the brain? (2) What compounds can be measured in human blood that provide reliable indices of brain tryptophan uptake and utilization? (3) Might the metabolism of tryptophan, or its uptake into or utilization by the brain, be altered in psychiatric diseases? and, (4) Are tryptophan supplements useful in the treatment of depression and other psychiatric disorders—either by themselves or as adjuncts to drug therapy? Our views concerning these questions are summarized below. We hope that they also represent consensus opinions. Supported by grants from the National Institutes of Health (AM-14228, Wurtman) and from the National Science Foundation (BNS-78-05500; Pardridge).